Redskins fans are thanking the football gods that the 2013 season is over after watching their team fall into a dismal 3-13 record. 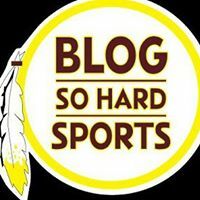 Now there are thousands in the Redskins Nation who are scratching their heads and wondering: What do I do with myself until the 2014 season kicks off? The Skins have some serious needs. Statistically, they were average on offense and of defense when looking at yardage per game, but ranked at the bottom of the league when looking at the points per game (23rd scoring offense, 29th scoring defense). That means the team had some serious red zone issues, on both sides of the ball. 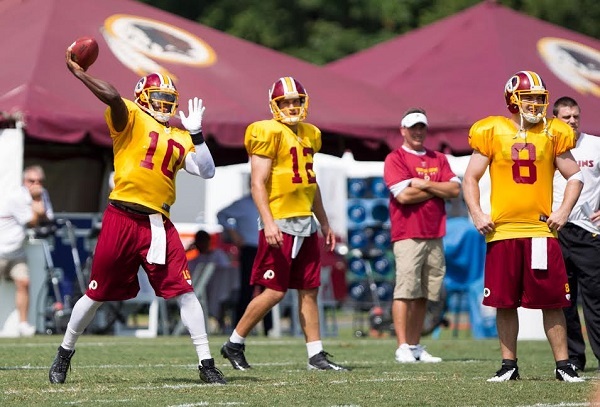 The Skins don’t have a first round pick this year, which doesn’t do them any favors. They would have landed the second overall pick, but they traded that pick away back in 2012 to draft RG3. They will need to focus on maximizing their needs as opposed to grabbing a top-tier talent. The skins are lacking a good #2 receiver, which could pull attention away from Garcon in the red zone. Since they don’t have a receiver over 6’2”, it would make sense to snag a nice big, tall receiver in the second or thirrd round. Kelvin Benjamin (6’5”, 195 lbs) of Florida State could slip out of the first round and would be the best pick possible WR pick-up. Otherwise, Jordan Matthews (6’3”, 209 lbs) of Vanderbilt and Martavius Bryant (6’4”, 209 lbs) of Clemson would be great options. The camp generally starts at the end of July and runs through mid-August. It’s free to attend and starts off with two-a-days. The Camp is located in Richmond, Virginia. This is a great way to check out the new players and interact with all of the players & coaches. Break out the PlayStation or Xbox and play some games. Obviously, Madden 25 is out, so you could take the Skins to the Super Bowl all on your own. If that doesn’t compare to the thrill you get from watching the games, then check out online gaming. There are several options that are running good promotions that pay you to start playing with them. For example, BetFair is currently holding a promotion that gives $5 to all of its new poker players. That means you can at least get accustomed with their setup before having to throw some real cash into the mix. The Nationals are the 9 to 1 odds to win the World Series on many boards, which is a tie for the third highest in the league. I know it’s not football, but a good baseball season for the Nats should help. Their home opener is against the hated Braves on April 4th and, of course, the regular season overlaps with the beginning of the football season. Wood-working is a viable hobby. Who couldn’t use a new coffee table or bookshelf? Not for you? Well, Ask Men has a nice list of the top ten hobbies for men that should definitely help. Holding out until August’s preseason games is going to be tough, but hopefully this helps you ease that pain. Go Skins!